Wish you weren’t here? Take an instant getaway from the USA without paying the price of an international flight. During these cold, dark days, you may well wish you weren’t here. For a break from reality, we turn to food (or, in some cases, are driven to drink), and a few hours’ respite shouldn’t be a guilt-inducing thing. These three Seattle restaurants offer a trip out of the USA, no international flight required, taking you far, far away via the magic of what’s on your plate (and in your glass — or in your coconut, as the case may be). Daily 5-10:30 p.m., Saturday-Sunday 10 a.m.-2 p.m. 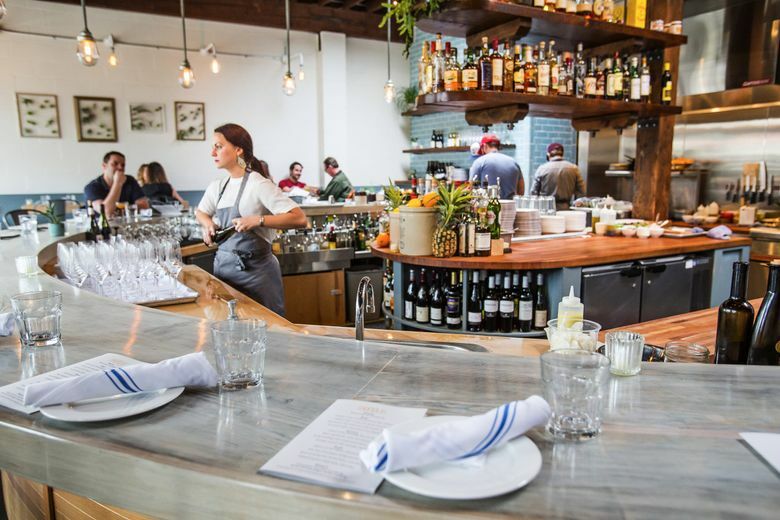 The understated décor at Capitol Hill’s Stateside hints at a holiday rather than spring-break shouting it: palm-frond wallpaper, celadon booths, antiqued mirrors, the weathered bar overhang, a few bromeliads finding a home on the wall nearby, an old-fashioned fan. The Vietnamese food found here makes for an expeditious trip to that country’s tastes and textures, the cuisine’s pungencies and subtleties, the glorious heaps of fresh herbs. Take off your coat and order The Coconut immediately. 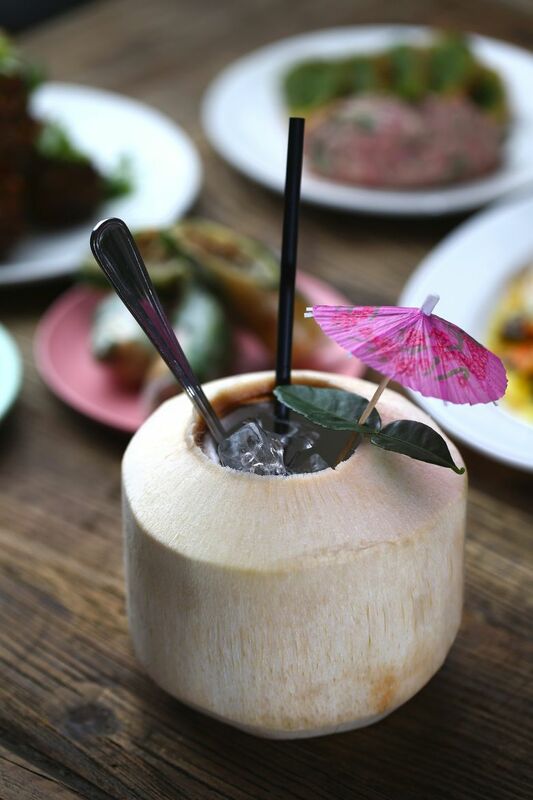 “Yes, there is an umbrella,” the menu assures; and yes, there is rum, plus brightening lime leaf and peppery galangal; and yes, it’s served in a real coconut. (The spoon is for scraping the soft, creamy flesh out when the drink is done; don’t forget.) If that’s too fun for you, plenty more tropical cocktails await, with the flavors of pineapple, lemon grass, passion fruit, pandan. Arguably the greatest getaway on Stateside’s menu at the moment, the amberjack crudo lines up lush slices of the cool fish with an icy bergamot orange granita, sprinkled with lime leaf powder and fresh chile as a little wake-up call. Or maybe the goat curry goes farthest from home (and goes great with The Coconut): The grilled goat is as tender as possible, big hunks of it braised in green curry, dusky-tasting with a slight spice that slowly warms you. But it’d be hard to go far wrong here, with crispy duck rolls wrapped in fresh rice paper, or extra-spicy chile-cumin pork ribs, or bun cha Hanoi. Weekend brunch also makes for a lovely trip — small plates, banh mi and/or aromatic soups — and so does Foreign National, Stateside’s tiny, dark, retro-glamorous next-door bar. A “Greetings from Stateside” postcard comes with your bill, suitable for sending to a friend as an invitation, or magneting to the fridge as a memento and reminder to return. Manolin feels like the kind of place you’d wander into on a distant beach, a sundress thrown over your swimsuit, ready for a little relief from the day’s heat. Named after a character in “The Old Man and the Sea,” this airy Fremont place was inspired by trips to Caribbean climes, the owners say, and the room reflects it: whitewashed cinder-block walls, a dark-timbered ceiling, a huge horseshoe of a bar at its center. Tiles are worn-looking, warm sky blue instead of the ubiquitous gleaming, cold white; an occasional chair quietly stands out, beaming bright orange. Sit in the seats closest to the grill’s flames, and you’ll also catch glimpses of the gas fire flickering out on the patio, which you may feel free to pretend has a floor of sand. Along the bartop right now, one drink is especially in bloom, the Help Me Rhonda — pretty guava-pink with a wheel of lime for contrast, tequila plus mezcal for added interest, the sweetness perfectly tempered. Likewise, the Sloop John B, served up, the color of pirate’s gold, the rum and the coconut given an edge of strength and smoke by whiskey infused with charred pineapple. 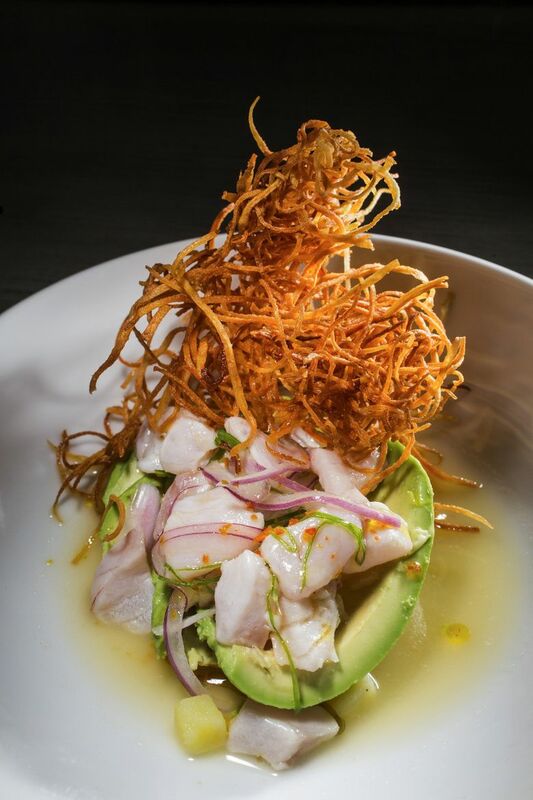 In the wide-open kitchen, the laid-back but diligent staff assembles colorful, casually gorgeous plates like rockfish ceviche with slabs of avocado, flavors of tart and heat, and a crown of sweet potato shredded into the thinnest strands and miraculously frizzle-fried. Cool albacore tuna comes with bits of grapefruit with the skin still on for zest, plus morita chile for zip. Venture beyond fish and find chorizo, kumquat, queso fresco and more, ready to make you feel like a lucky castaway. Even if you think you don’t like plantain chips, get them: Thin and crisp and just-right salty, they’re the rare ones that are better than tortilla chips instead of worse. The soundtrack the other night added time travel to the equation: Simon & Garfunkel, James Taylor. That and the plants here and there — cactuses, fernlike ones, a funny little jade — made it feel like an expat place in Tulum, back before everyone found out about it. A glowing globe of a light, made of opalescent windowpane oyster shells, made a fine stand-in for a full moon. 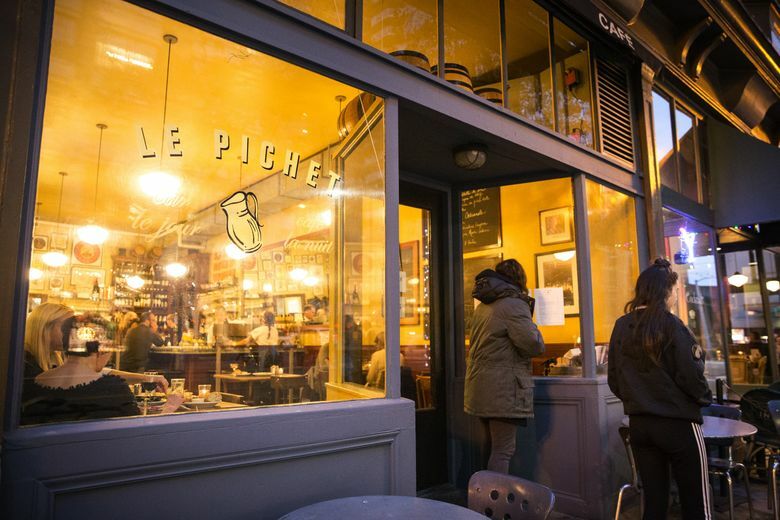 If you’ve never been to Le Pichet, you’re missing out on a true Seattle treasure — a secret trip to Paris, nestled atop Pike Place Market. 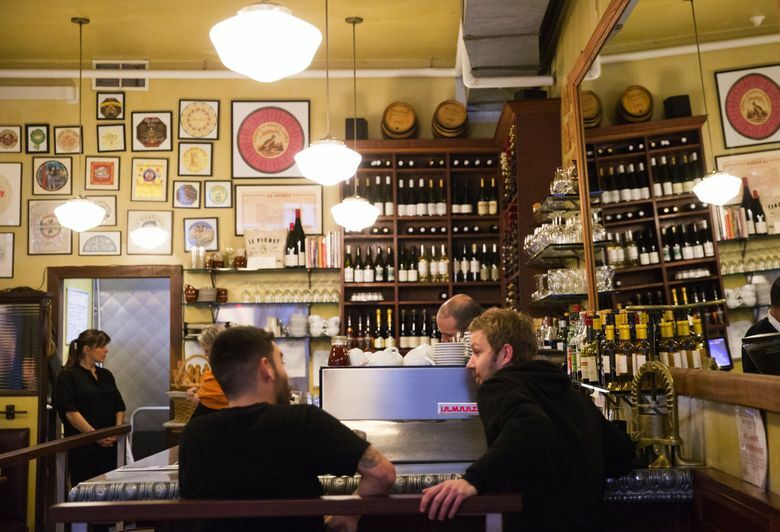 At a time when French food is coming back into vogue around the United States, this place has been quietly serving some of the best of it since the year 2000, made with the very best Pacific Northwest ingredients, in an unstuffy, lovely setting. 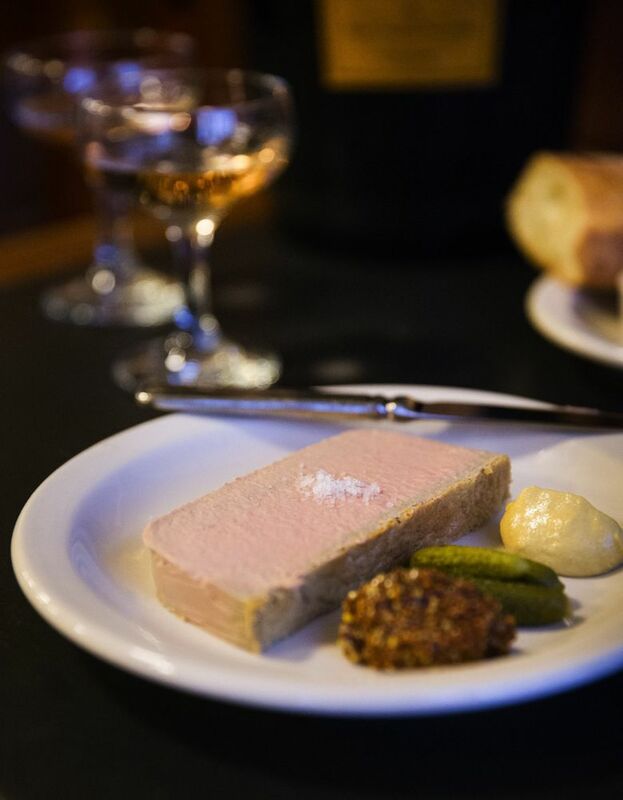 From the pale butter-colored walls to the zinc-topped bar, all Le Pichet lacks is an all-French-speaking clientele, and sometimes it even gets close to that. Service achieves a European ideal: professional, unobsequious, never intrusive, but conspiratorial if you care to engage. 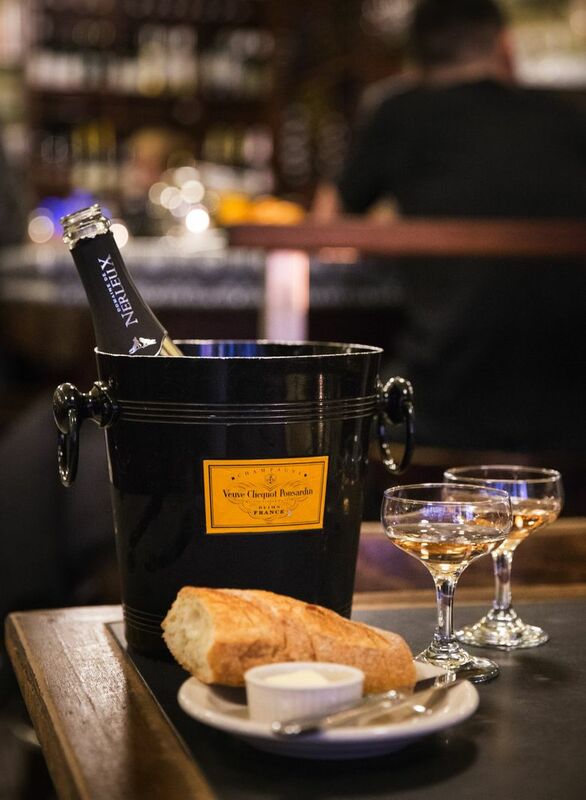 And Le Pichet is a loyal friend, open from 8 a.m. all day long until midnight, each and every day of the week: œufs plats, jambon et fromage at breakfast time, French onion soup for lunch, anything for dinner, a snack and a glass of French wine anytime. And like a loyal friend, in dark times, Le Pichet will remind you how good it is to be alive.